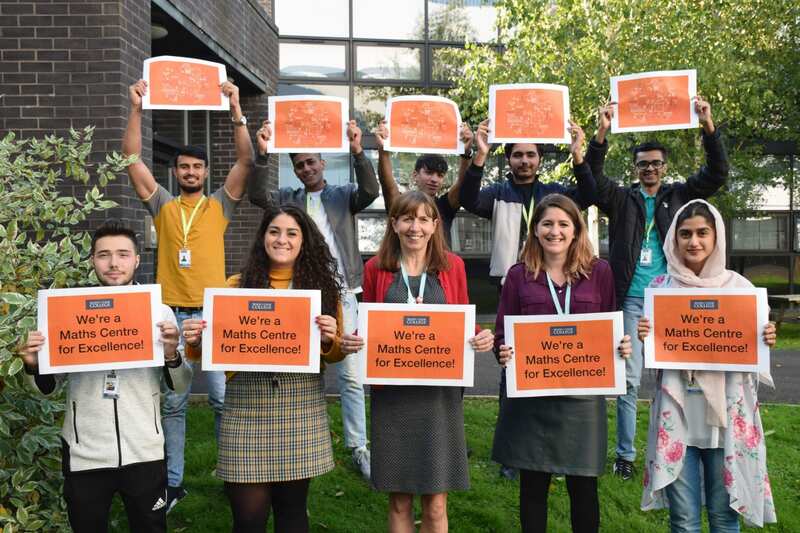 Nelson and Colne College has been selected to be a Maths Centre for Excellence by the Department for Education – one of only 21 colleges nationally to gain the prestigious status. An application was submitted by NCC after the Department for Education committed to establishing a select number of Centres for Excellence with the remit of building teaching capacity and spreading best practice on what works to improve basic Maths. The college has extensive experience of collaborating at a national, regional and local level and the new investment will see the potential to develop this activity further by sharing good practice regionally with the aim of improving the skills of students over the age of 16 with low prior attainment and helping them secure valuable qualifications. NCC has also been number one in the country for progress scores in GCSE Maths for two consecutive years, and in 2018, 72% of 16 to 18-year-old students resitting GCSE Maths at the college gained at least a grade 4, compared with a national average of 18%. The college also delivers consistently high pass rates in Functional Skills Maths. Rabia Imtiaz, 18, came to Nelson and Colne College with no qualifications on entry, and first gained her Functional Skills Maths and then a GCSE grade 8 in her results this year, progressing on to study A Levels in Biology, Chemistry and Mathematics. Rabia said: “Before I came to NCC I didn’t consider myself good at Maths at all. The quality of the teaching and the workshops offered by my teacher were really helpful, and teachers are always able to answer any questions you have. Kinza Arshad, 18, arrived at NCC with no qualifications on entry, but then gained Functional Skills Maths before making the jump to GCSE where she achieved a grade 8 in Maths. Kinza is now on the vocational route, studying Level 3 Business. Kinza said: “I really worked hard in Maths, attending lessons and completing my homework. I never expected to achieve what is an A* grade but my teacher was so good at explaining what we were learning in lessons and I found the workshops twice a week were great and made the difference. Nelson and Colne College Assistant Principal Fionnuala Swann said: “I’m delighted that the college’s application to be a Maths Centre for Excellence has been approved. “We have been selected because we are an exceptional post-16 institution with the commitment to drive innovation and improvement in both the college and beyond. In its 2017/18 results, NCC achieved a 99% pass rate at A Level and a 99.6% pass rate in advanced vocational courses. One in five leavers progressed on to Russell Group universities – the best in the country – including Oxbridge. Nelson and Colne College’s next Year 11 Open Event will be held on Monday 5 November, from 5.30pm until 7.30pm. Visitors can find out about the wide range of options available to study at NCC – including more than 30 A Level subjects, a wide range of high quality, career focused vocational programmes and Apprenticeship opportunities in a multitude of different sectors.